Seniors examine global conflict structures in the context of a high school. 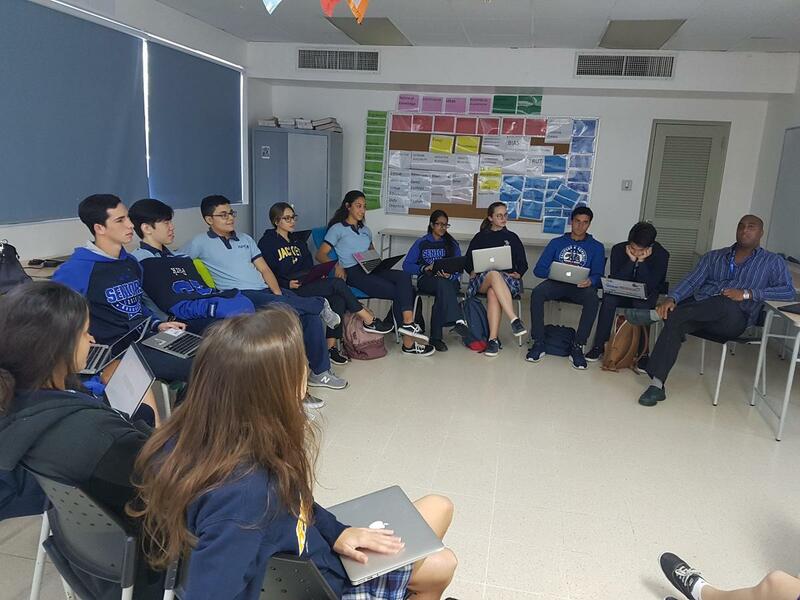 The IB Global Politics class covers 4 units over 2 years, with the final unit called Peace and Conflict. 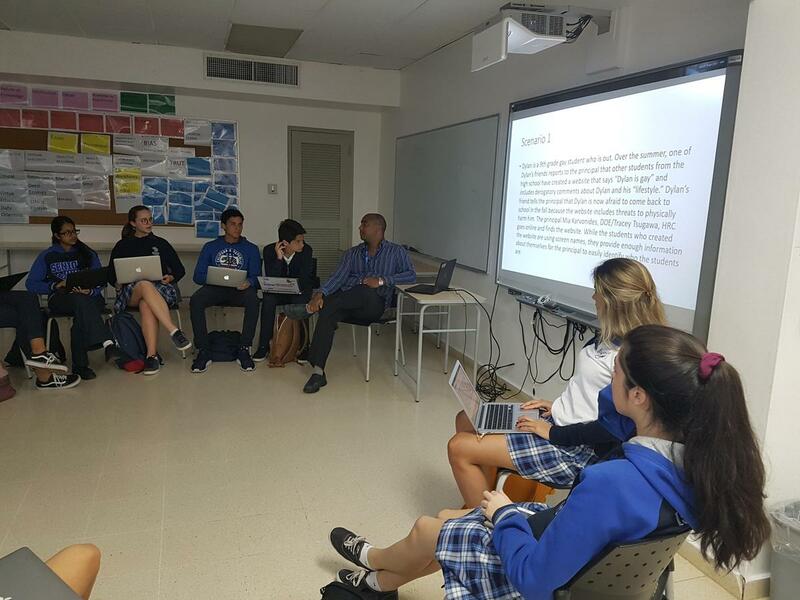 Students take a look at the root causes of conflict in the world and examine the concepts of negative and positive peace. To introduce this unit, Mr. Hyles gave his students 6 very real scenarios of conflicts that occur in everyday high schools (bullying, grade disputes, peer pressure etc) and students then had to identify what the conflict was, who the stakeholders in the conflict were, and a possible solution. 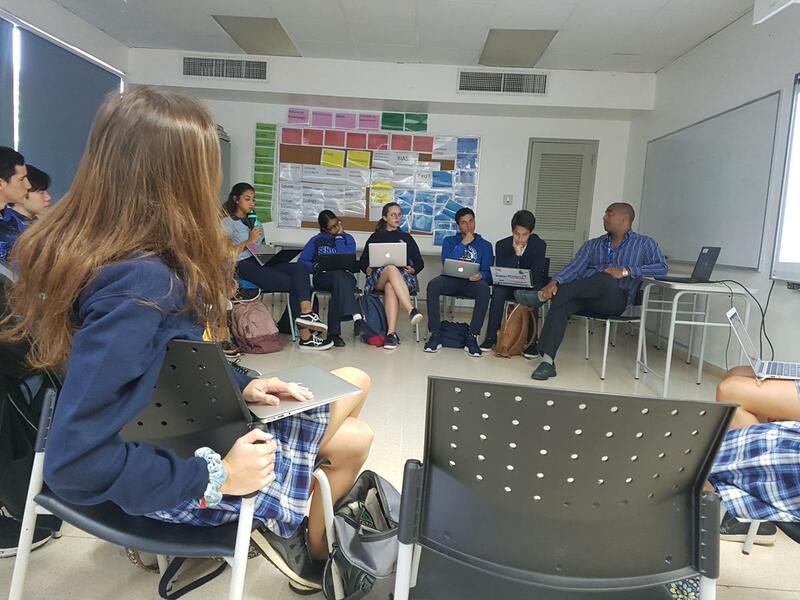 Mr. Mattiace, the Assistant Principal, was on hand to hear the student proposals for situations that come up in school life daily. He agreed that many of the proposed solutions were exactly in line with what his office does, but a few of the student proposals were a bit draconian in comparison. "Good thing for students , their peers aren't in charge of discipline!!!!" joked Mr. Mattiace.